Ships tomorrow if you order in the next 16 hours 10 minutes. When you become a mom, you make a decision. Many of us choose to breastfeed our babies - or use our own milk supply rather than formula. That's because we know breast milk is the absolute best nutrition we can give them. It's the way nature intended us to feed our children after all. But sometimes we worry...about not having enough or drying up before our child is ready to stop nursing. 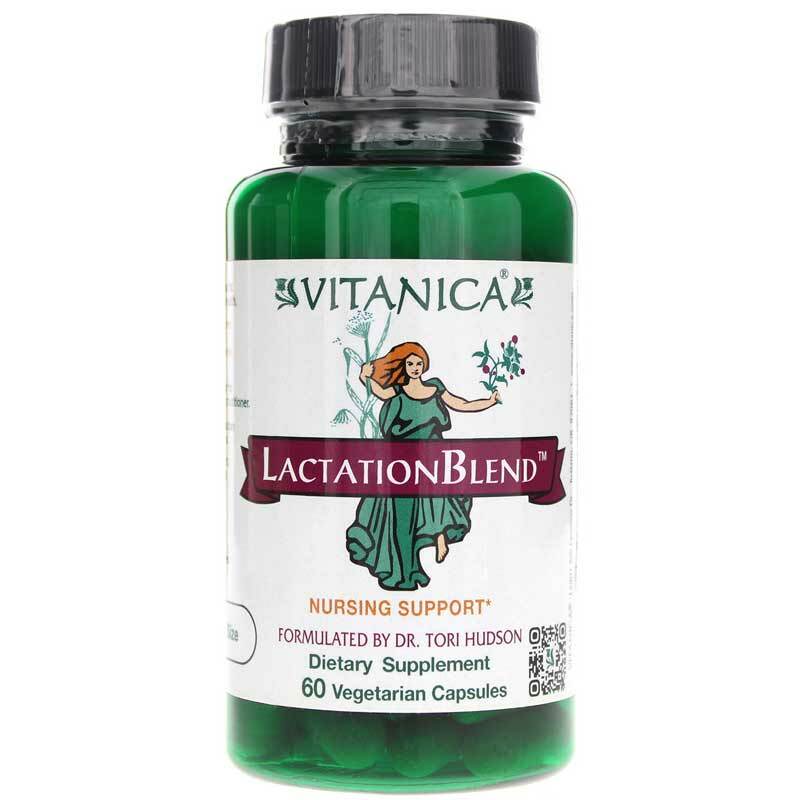 Lactation Blend from Vitanica combines in-depth research with many years of tradition to create an herbal supplement that could promote lactation. 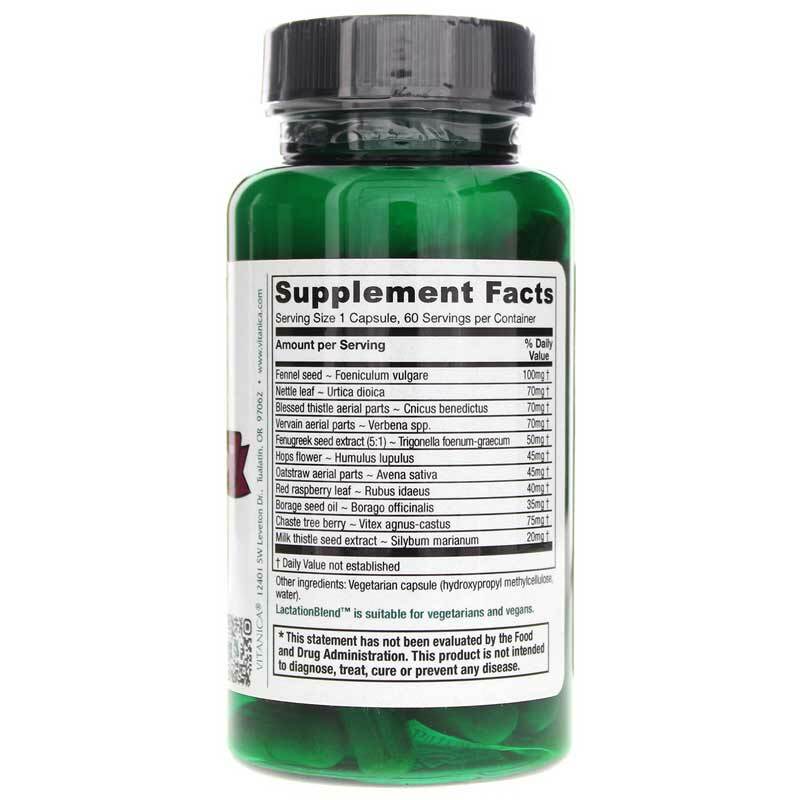 Most herbs are acceptable for nursing mothers - including those in this supplement. But you should still avoid using this product during pregnancy, and talk to your doctor about any supplements you choose to take. Promote a healthy supply of "Mama's Milk" so your little ones get all those important nutrients to help them grown and develop into the amazing kids you know they are. Order Lactation Blend from Vitanica today! Other Ingredients: vegetarian capsule (cellulose and water). Contains NO: preservatives, binders, artificial colorings or flavorings, sugars, lactose, salt, wheat, gluten, soybeans, milk derivatives, eggs, peanuts, tree nuts, fish or shellfish. 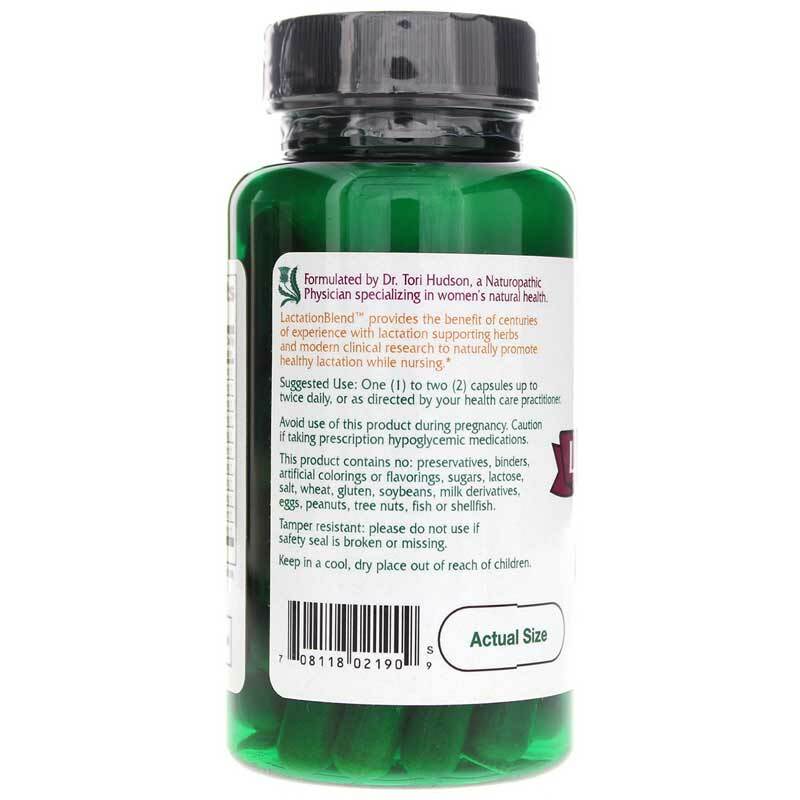 Adults: 1 capsule daily or as recommended by a healthcare professional. Avoid use of this product during pregnancy. Caution if taking prescription hypoglycemic medications. Keep out of the reach of children. Taking this along with Shatavari has helped a ton!